Barry the bear, Ping the panda and George the gorilla with his reluctant sidekick Ginger the cat; the first of the trikermals (animals on tricycles). 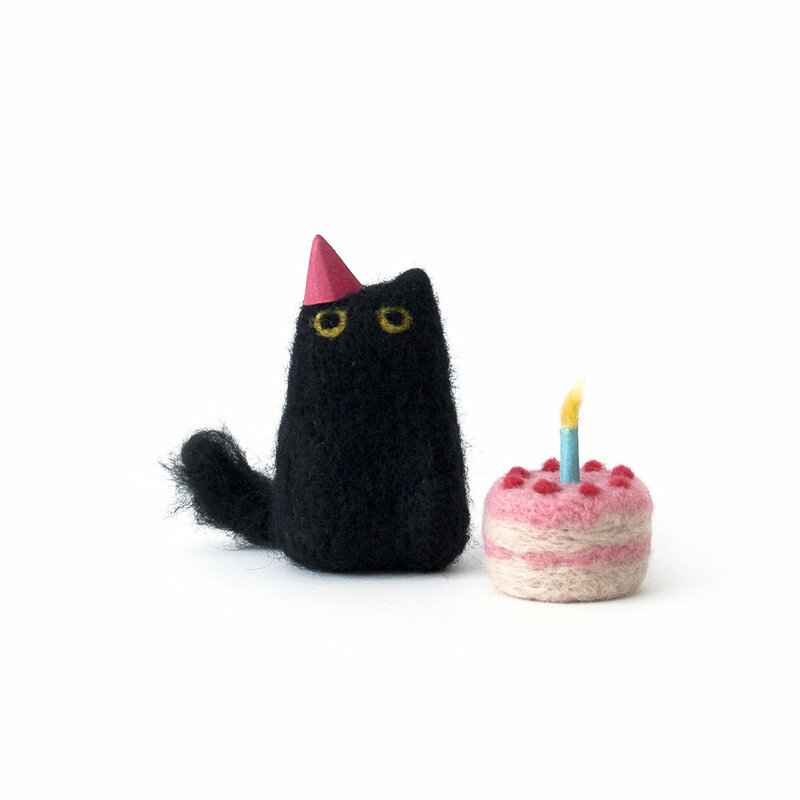 When I started needle felting the first thing I made were animals of the feline variety. This was naturally because I am cat obsessed, like a lot of us are, and I wanted to capture in wool a particular character they have which you might recognise! I know, I know, but as a CATerpillar he insisted he has every right to be here, so who are we to argue?